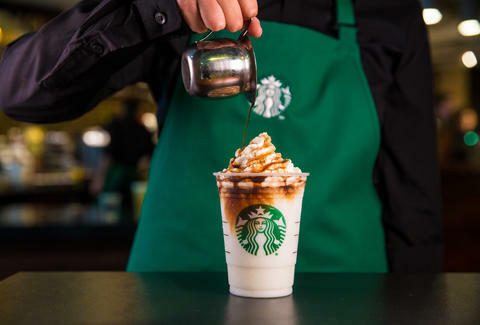 For years, Starbucks has made it possible to replicate its classic coffee drinks at home with products like coffee beans, syrups, sauces, and other caffeination essentials you could feasibly use to avoid setting foot in an actual Starbucks. But the days of homemade caramel macchiatos and mochas may be over, now that the coffee giant has permanently shut down its online store. In a move the company confirmed back in August, Starbucks officially shuttered its online retail arm on Sunday as part of a shift to focus more on its more than 25,000 brick-and-mortar stores around the world and enhancing its mobile app. Several popular products have been discontinued in the process. “We’re continuing to invest in amplifying Starbucks as a must-visit destination,” Starbucks spokesperson Maggie Jantzen said. "Continued integration of these digital and mobile customer connections into our store experience is among the highest priorities for us and to enhance that focus we’ve looked for ways to simplify our current efforts." The online store was intended to promote the purchase of coffee beans, flavored syrups, sauces, and tea, as well as merchandise like glasses, mugs, and espresso makers. While many of the products that were sold online are still available on Amazon, in local stores, and in the aisles of Starbucks’s many grocery partners, Starbucks sauces and syrups are the most popular products that have been discontinued, and are no longer available for retail purchase, according the company. In response to questions from disappointed customers seeking to shop online, Starbucks explained that although some products’ availability aren’t guaranteed in all stores, coffee fans should continue to check local stores for merchandise and use the Starbucks app to purchase coffee for in-store pickup. With ever-powerful retail giants like Amazon dominating the online market, Starbucks’ move away from online retailing toward mobile commerce is a tangible sign of the pressure retailers face. Hopefully, the ubiquitous coffee slinger will find a way to relaunch the syrups, sauces, and other products in the near future, but until then, you'll have to line up at your local outpost to get your fix. Amy Schulman is an Editorial Assistant at Thrillist who used to inhale Double Chocolate Chip Frappuccinos back in the day. Follow her on Instagram.